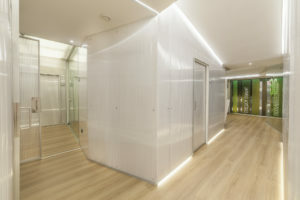 Works of Dental Clinic Arias Delgado complete. 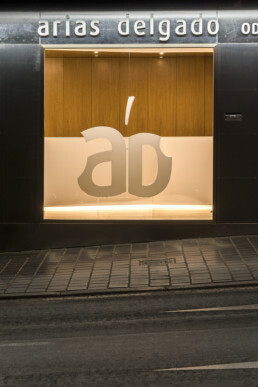 The threshold presents itself as part of the street inviting to cross the access which opens to a spacious reception. 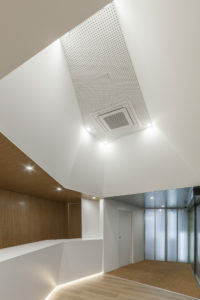 Once inside, the ceiling is a landscape in the shape of back teeth that cover the different rooms moulded inside the clinic. Sensations of tranquillity, joy and comfort envelope both the rooms and the corridor. Wood contrasts with the backlit polycarbonate that creates a spatial expansion effect to discover spaces that become, elegant and neat.